Developments in Freudian psychoanalysis, particularly the work of Kohut and Winnicott, have led to a convergence with the Jungian position. 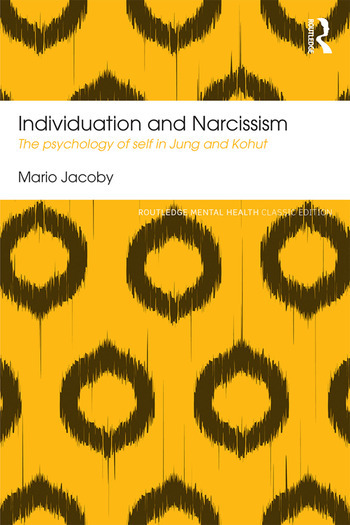 In Individuation and Narcissism Mario Jacoby attempted to overcome the doctrinal differences between the different schools of depth psychology, while taking into account the characteristic approaches of each. Through a close examination of the actual experience of self, the process of individuation, narcissism and narcissistic personality disorder, Jacoby deftly demonstrated the benefits of a cross-fertilization of ideas and techniques for the professional analyst. This Classic Edition includes a new foreword by Kathrin Asper. Mario Jacoby was a training analyst, lecturer and member of the Curatorium of the C. G. Jung Institute in Küsnacht and of ISAPZURICH, founded in 2004. His other books include Shame and the Origins of Self-Esteem and Jungian Psychotherapy and Contemporary Infant Research (both Routledge). He died in 2011.